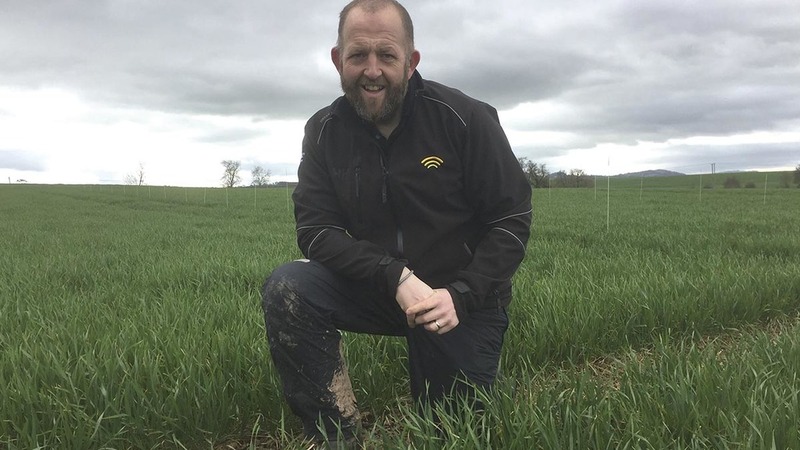 On the latest visit to Bayer’s trial site in Callow, Hereford, crops had progressed rapidly through their growth stages in response to the recent spell of warm weather, with leaf 3 fully emerged on several wheat varieties. Where crops have been sown early and on particularly fertile soils, early maturing varieties have reached growth stage 31 quicker than usual, which could cause problems in providing adequate protection from ‘standard’ fungicide timings, according to Bayer technical manager, Gareth Bubb. Since most T1 fungicides only provide around three to four weeks’ worth of protection, Mr Bubb says growers should be considering a T1.5 where the interval is likely to exceed the activity of the T1 fungicide, but insists growers need not spend a lot of money on the additional fungicide application. “I would think about it in the same way as the T0 spray. What you are trying to achieve is some protection of leaf 2, so I would include some chlorothalonil to provide that protection. At Bayer’s trial site in Callow, Hereford, disease pressure is higher than last year, with septoria at particularly high levels on most varieties. Therefore, protecting emerging leaves will be particularly important. 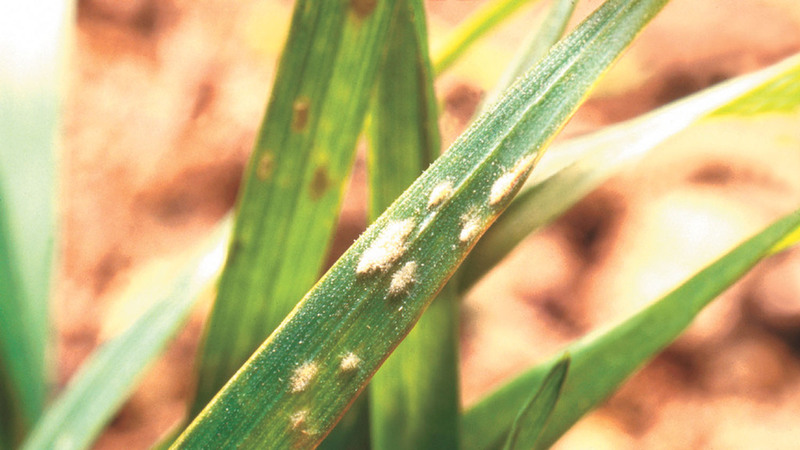 “There is a lot of inoculum about, septoria seems to be on everything, eyespot can be found on selected varieties such as Graham,” says Mr Bubb. As well as putting pressure on fungicide timings, rapid crop growth has created ideal conditions for mildew, which can be seen on many crops. “A couple of weeks ago, mildew could only be found in selected varieties, but actually we can find it in nearly all of them now. 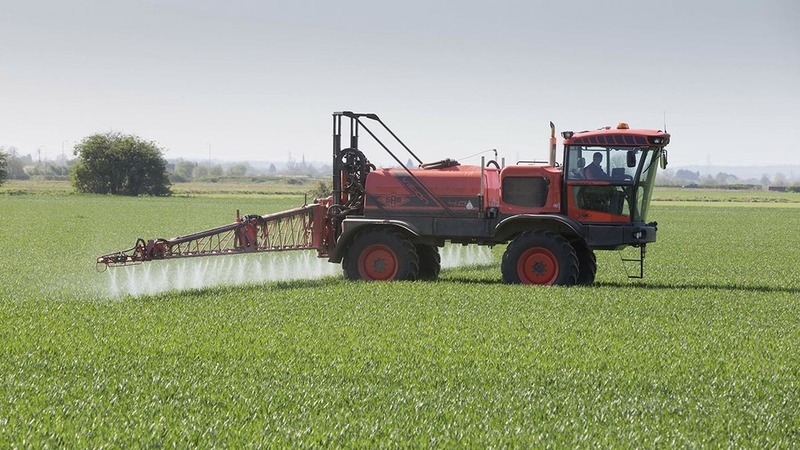 Opting to incorporate a mildewicide into the tank mix can ramp up the fungicide cost and the disease tends to have a more modest impact on crop yield and so, where mildew is present at low levels, Mr Bubb says the inclusion of a generic fungicide with mildew activity should suffice. “If mildew is at high levels, it’s important to control it early. However, where infections are not so severe, something like Aviator (bixafen + prothioconazole) or Ascra (bixafen+fluopyram+ prothioconazole) at T2 should keep the crop clean.